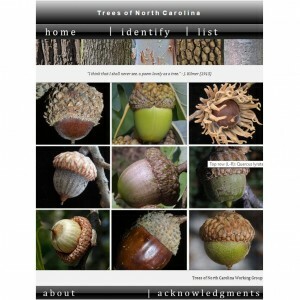 Featuring native and naturalized trees of North Carolina. Includes images of bark, twigs, leaves, reproductive organs as well as distribution maps. — Beta Version, getting better every day. Click on “identify” and then select the image that looks most like the plant you are trying to identify. Follow the key to a plant name you can click on to learn more about the plant. Or click on “list” to select by name. Created by the Trees of North Carolina Working Group.